The award-winning Smokin’ Hot Rocket Stove has three times more thermal efficiency than a camp fire, with almost no smoke. It’s compact, light and easy to use, keeps you warm, and provides a raised cooking platform, so no more sore back leaning over the camp fire, or singed arms picking up your pot. 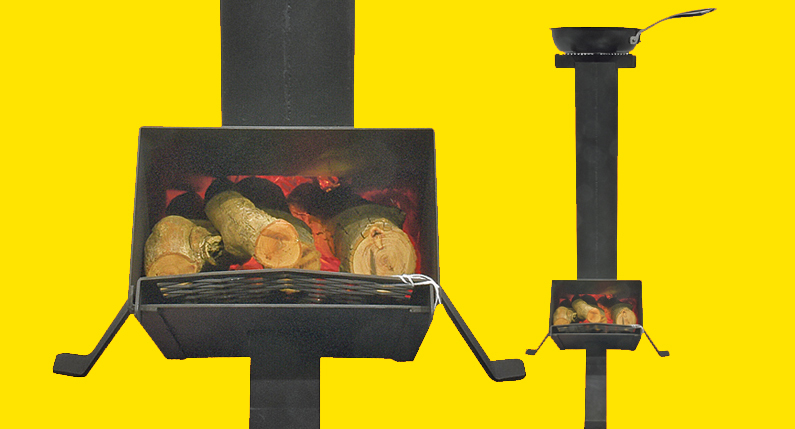 The Rocket Stove runs most efficiently on timber less than 25mm in diameter, which is easy to find. The stove can take larger pieces, however it does not burn as efficiently so there’s no need to carry around massive, expensive bags of timber. It provides instant cooking heat once alight. With the advantage of low to high cooking temperatures, you can cook everything from stews to stir fries or steaks to bacon while camping or just in your backyard. Because it’s an enclosed fire it’s a good choice when you’re in a forested area (check local regulations). So while you won’t be missing out on the great feeling of sitting around a warm camp fire, your eyes won’t burn, you won’t wake up smelling like a bushfire!